A commemorative 20 cent coin celebrating the marriage of Prince William and Kate Middleton will be released into public circulation in Australia. The coin, issued by the Royal Australian Mint in Canberra, features a detailed sculpted portrait of the couple which was approved by Queen Elizabeth. 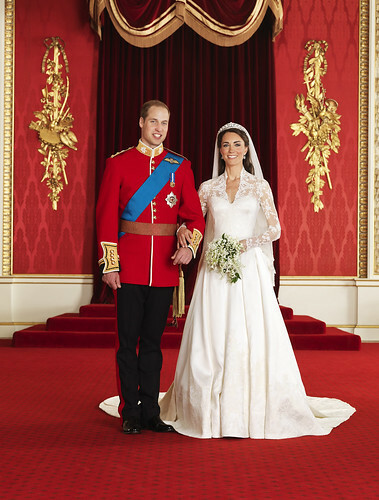 It continues the mint's tradition of celebrating milestones of the royal family, and will be released into circulation after the April 29 wedding. "There are many royal collectibles out there but this circulating coin creates the excitement of checking your change to see if there happens to be a collectible right there in your pocket," said Federal Assistant Treasurer Bill Shorten. 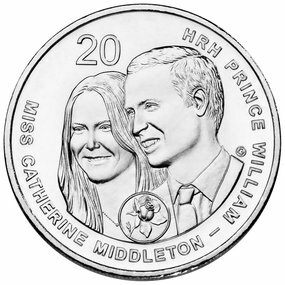 Sculptor Vladimir Gottwald designed the coin using images of the couple as inspiration.